Every patient’s journey is tailored to them. Yet there is a fundamental pathway that we have created to ensure you enjoy the same initial experience that allows us to get to know you in a professional yet relaxed manner. In any one of our 14 clinics via the website, email, phone, or by visiting one of our clinics. We will send you a brief questionnaire to allow us to find out a little more about your hearing life. Simply bring this along with you to your consultation. Approximately an hour of absolute attention by one of the country’s leading Audiologists. A completely painless, full hearing assessment will be completed and your results shown and explained to you in full with a recommendation tailored to offer you the very best solution within a budget the suits. If you have decided to move ahead with a trial, your Hearing System will be ready for fitting approximately a week after your assessment. During this appointment your Audiologist will not only conduct the usual calibrations required based on your test results, they will also ensure you are entirely comfortable with every aspect of the process. From physically fitting into your ears to any cleaning and maintenance that may be required. Then it’s time to see what the world really should sound like. Possibly the most important meeting through your process. Now you’ve had the chance to wear your hearing system in the ‘real world’, we’ll have the information we need about ‘how’ you like to hear. This may be different to your initial prescription. Using technology called data-logging (along with and the experience and expertise of the Audiologist) adjustments can then be made to enhance your listening experience. Soon your hearing will be just the way you want it to be! You’ll now be very used to your hearing system. And although you will likely be delighted with the results already, we want to make sure you are getting the most out of it. Once again your Audiologist will be analysing the data and taking your experiences into account. Again, they’ll make making tiny adjustments to further enhance your hearing. Your hearing system should be almost perfect by this time. This consultation is often the final ‘structured’ meeting where more data is gathered and final adjustments are made. Your Audiologist will then sign you off as ready for 6 month reviews, safe in the knowledge you are another satisfied patient that is enjoying their new hearing life. 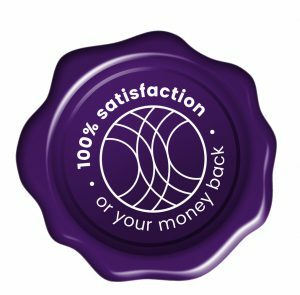 Making big decisions about health and finances requires careful consideration therefore, we offer you a cast iron guarantee – 100% satisfaction or your money back. Imagine being able to hear everything you've been missing.